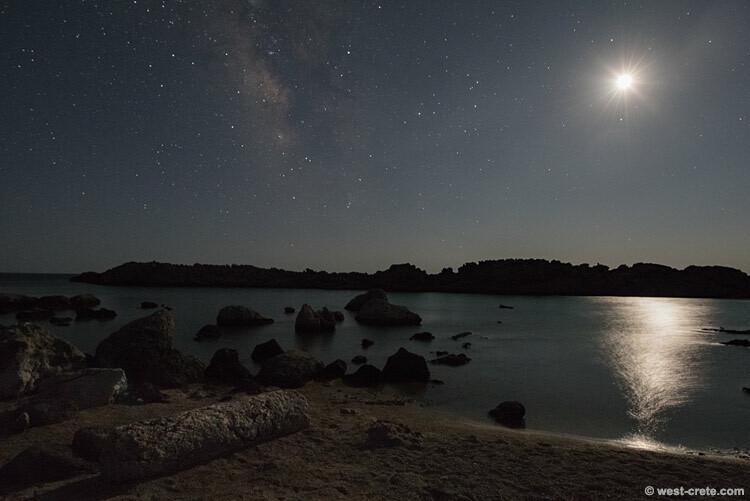 Night time in the small bay of Viennos, to the West of Paleochora and Konduras (on the footpath to Elafonisi). Note the column in the foreground: a few of those dating back to the Early Byzantine Period (3rd and 4th century AD) are scattered in the sand by the sea. Little seems to be known about the significance of the site.